In the early days of Survivor, the show needed to sort of feel its way into development. Things were done differently than they are now and a lot of rules hadn’t been put into place yet. Among other things, production had a lot more influence into the game than it should have probably had. All of that was mostly kept in the dark and we would have never been the wiser had it not been for Stacey Stillman. Stacey Stillman in the flesh. Stacey was part of the Tagi tribe and tried forming the show’s first ever alliance. Richard Hatch gets credit for this because his plan was successful when Stacey’s was not. Her problem was that she was not very well liked by her tribe for her bitchy demeanor and that is definitely how her edit portrayed her. When Tagi lost their second immunity challenge, Stacey ended up being the 3rd person voted out of Borneo after it came down to her and Rudy Boesch. Back in those days, Ponderosa did not exist. After Stacey was voted out, she was sent out to a local hotel to be kept around for a bit before being released out in the wild. At that hotel, she would end up running into Dirk Been, a fellow Tagi tribe member who would end up being voted out 5th. During their talk, Stacey found out that allegedly, Dirk and Sean Kenniff, another member of Tagi, had been approached by the show’s producer, Mark Burnett, in an attempt to vote out Stacey over Rudy. As a lawyer, this discovery did not sit well with Stacey. She knew that there were game show laws in place specifically so that producers could not manipulate results of a program. She felt that Burnett discussing who should be voted out next with contestants was in direct violation of those rules. In February of 2001, after considering her facts, Stacey decided to sue CBS for alleged fraud, breach of contract and unlawful business practices. Before I begin, I want to note that I am attempting to remain as impartial in regards to the case as possible. Yes, I have biases going certain ways but will try to keep those hidden to present both sides. The main goal of this article is to give as much information into what happened with the lawsuit as possible to keep fans who may have been too young back in the day informed. · Burnett was desperate to keep Rudy safe after seeing the two oldest members of the cast go out one and two. The 55 and older demographic was a huge part of their hopeful audience and losing the only other player over 40 was going to hurt their chances with that demographic. · Rudy also happened to be a great quote machine and was generally a personality that made for great television. Stacey was not as funny or jovial as Rudy and thus, was less of a loss in the producer’s eyes. 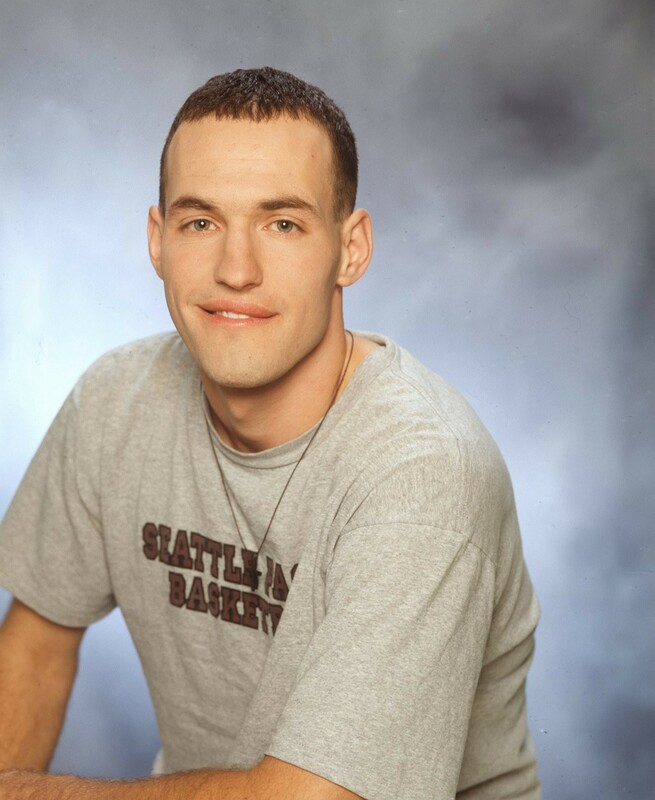 · In order to save Rudy, Mark Burnett personally talked to Sean Kenniff and Dirk Been, both Tagi members, and influenced them in a way to vote out Stacey. · This discussion prematurely ended Stacey’s game when she should have stayed on the island over Rudy, who was being targeted for being a liability in challenges. Not only did he effect Stacey’s outcome, by trying to manipulate one boot, he effected the entire season’s outcome. · It’s still unclear as to what Stacey ultimately asked as restitution. She claims she asked for $75,000 for out-of-pocket expenses and punitive damages. Some information in depositions would later claim that Stacey asked for $5 million as well as a spot in another CBS reality show that isn’t run by Burnett. We heard about Stacey Stillman’s allegations several months ago. They had no merit then; they have no merit now that she has packaged them into a frivolous and groundless lawsuit. Survivor has received more press and public scrutiny than any show in recent television history, and its creative integrity has remained intact throughout. We are therefore confident that the courts, as well as Survivor viewers, will see the case as utterly without foundation. They also claimed that Stacey had been running with this story since her boot and had tried to peddle it to the media as a way to get attention. Essentially they were accusing Stacey of blackmail. The counter-suit was to the tune of $5 million dollars for speaking out against the show which CBS argued was disallowed within the confines of the contract she had signed with them. The defamation portion of their suit was the Stacey’s allegations were constructed to hurt the show’s legitimacy thus impacting ratings negatively in an attempt to tank the show. What are you thinking in terms of how much to extort? I’m thinking one-third of the ad revenue from the town hall show plus a party afterwards plus travel and accommodations for one guest for each of us? I would never have come forward and invested this time and energy if I did not know for a fact that Mark Burnett manipulated my exit from the show. Knowing this, I had to come forward, and Mark’s $5 million lawsuit is a blatant attempt to scare me away. I still stand by my claims, and the witnesses are ready to testify. These people are all in a tough situation. They want to make it in Hollywood. I’m one of the few who doesn’t. They need to make CBS think they’re on its side. Part of the reason why I did go forward is that there are a lot of disgruntled contestants. We all put on a happy face for the media. I did for a long time, even knowing what had happened. I was waiting to decide what to do. I continued to play their game and I continued to do interviews to promote the show. Finally, in October, I had enough. I cut off all interviews. I’ve turned down lots of appearance opportunities. I don’t want to endorse the show. The one thing that sickens me about this lawsuit is that it’s giving them more attention. What Stacey is describing is not untrue. After Borneo the 16 players who came off that island were basically celebrities. Many of them made appearances on other shows like the Weakest Link and Big Brother. Colleen Haskell starred in a major motion picture. Sue Hawk got to interview future president George W. Bush as Regis Philbin’s co-host. The players stood to make a lot of money of their name recognition, so long as they abided by CBS’ rules and played nice with the network. Stacey was not doing so and thus, was not profiting from any post-show fame whatsoever but she was one of the few who didn’t. Dirk Been, Stacey’s star witness. In April 2001, Dirk Been filed his deposition for the case. It had a lot of glaring accusations throughout the document and served to raise a lot of eyebrows. Keep in mind that both Burnett and Sean spoke out against what Dirk is alleging with his deposition. The difference is that Dirk is the only one who went through the process of being cross examined and questioned. His consistency with his answers throughout does seem pretty impressive. Here are some excerpts from Dirk’s deposition that really highlight some issues. Now, you really begin to seriously think who are you going to vote off. At that point I was approached by Mark Burnett, producer of the show, and he came up to me and we had a very short and to the point conversation and — about five minutes, and he just basically made the point to me that Rudy Boesch, another contestant in the show, the type of skills that he brings and his abilities 4 are going to be very important down the road and the different challenges and that will be important to you as a tribe. And so the best thing that could be done for you would to be to — to form an alliance against Stacey and vote Stacey off because Rudy is the — is the — is the guy that you will need in the future. … I simply looked at it as somebody who knew everything, and for whatever reason he was giving you an answer or giving you a key to success, and took that and 16 said okay, here’s somebody who knows everything. He’s saying this. I need to look at it and at least respect it and — and — and say okay, why is he saying this, and put some thought into it. Dirk also claims during this portion of the deposition that prior to his conversation with Burnett, he had been leaning towards voting out Rudy. His explanation is that Rudy was weak in challenges and that his one role, as rice cook, could be accomplished by anybody else on the tribe. The conversation with Burnett changed Dirk’s opinion, especially after he spoke with Sean who alleged to have had a similar conversation. They agreed to vote for Stacey as long as Richard Hatch also agreed to do so because they did not want to be in the minority. Well, I can’t speak for Sean, but for me, the idea of voting Stacey off, in my mind, had not entered my mind until I had that discussion with 8 Mark. For me, the leading candidate was Rudy. That was not written in stone. There were other people I was considering. But, again, my strongest choice was Rudy at — before talking to Mark Burnett. And after talking to Mark, I for whatever reason at that time thought that hey, here’s somebody that knows everything that’s going on, and he obviously knows what we’re going to be doing in the future, and for what reason I don’t know why, but maybe just to be a good guy, he dropped us these hints. He said this is what’s best for you guys. He physically with his own mouth said this. So I took that to heart and thought about it the best I could in the situation I was in, and said okay, he must know what he’s talking about, and made a rash decision and eventually changed my vote. And that’s who I ended up voting for, was Stacey, on that night, the evening at the tribal council. A man that was part of the — the crew, I don’t know his name or I never saw him again, but he just came up to me and we started talking. He started talking about different — different things that he had overheard that were going on. Just little things, like we had fish traps while — and while I was on the island we were trying to trap fish to eat, and we were unsuccessful in that. And he — this — this person from the — from the production crew just mentioned yeah, I overheard Mark and Craig talking about maybe — or going out there and putting fish in the traps. And just how the — the tapioca that we — the tapioca root which we had found out in the jungle, which was one of the only edible plants out there, was not native to the jungle and was planted there, and same with the sugar cane that we had found and ate while we were there. … that the production staff and in particular the producers were involved in the game in such a manner that to me it seemed that maybe there was manipulation or that — I don’t know if manipulation is the right word, but there was influence, that’s what I would say. That — and that they were trying to program things in a certain way, and — and they had an idea how the game should go, instead of just actually what happened. So initially, from what I was told, is that Rudy wanted nothing to do with it and wanted to have no part in the alliance, but Mark approached him, Mark Burnett, the producer, approached him and told him, listen, if you want to survive, if you want to be around, you know, if you want to make it, this is your only option. I suggest you doing it because otherwise you’re going to be voted off. Because Kelly’s a professional rafter and Gerv can’t even swim, much less steer a boat. He never has before. And that was just — that was just — that was common knowledge. Everyone expected that to happen. Now, that didn’t happen. But physically there was no way we could have won that game because Kelly came around even — we were way behind. We just — we just threw everybody in the boat. She picked everybody up. As soon as the last person got in the boat, Rich, the boat swamped and went under. And even if we would have had a lead on the other tribe, there’s no way we would have been able to, in my mind, bring our boat in to — and drop a couple people off and go back out there, which was quite a distance, to get the last person in the time that it would have took them to pick up their people and come in. It’s just — now that’s — that’s what — and that was the feeling of the tribe after we played that game. We were like there’s no way we could have even won that game. Those are just some of the things that Dirk highlighted in his deposition. It’s 205 pages long but I suggest that anyone with any interest in what was happening in the background during the early days to have a read, it’s incredibly interesting. All to be taken with a grain of salt of course but Dirk seems very convinced of his words. It should also be noted that Dirk denied the use of words like manipulating and strong arming. He also maintains that ultimately, Dirk made the decision to vote out Stacey by his own volition even if he regrets it. That is about as far as the case went. CBS and Stacey ultimately settled out of court for an undisclosed amount. That doesn’t mean CBS was guilty of the accusations Stacey was making nor does it mean they weren’t. We will never know the full truth on the agreement because Stacey is likely bound to a very tight non-disclosure agreement to speak on whatever happened and it’s likely for a long period of time. While the Stacey Stillman case was certainly a black eye for Survivor’s legitimacy, I do believe it ended up being a blessing in disguise for the show’s producers. It helped show them that they needed to figure out how to approach contestants and what they could and couldn’t tell them. The lawsuit certainly was illuminating not just for fans but for everybody involved with creating Survivor and it pushed them to maybe hold the curtain back a little more. Article about the initial lawsuit. Article about the lawsuit including Sean’s comments. Newsweek article containing a lot of Stacey’s quotes. E Online article about CBS’ counter-suit. Sports fan and alleged analyst. Day one Survivor fan and reality television junkie. @atribeofone1 on twitter. For inquiries: ianic.roy.richard@gmail. The premiere spot for Survivor history and analysis ranging from Borneo to the current season.